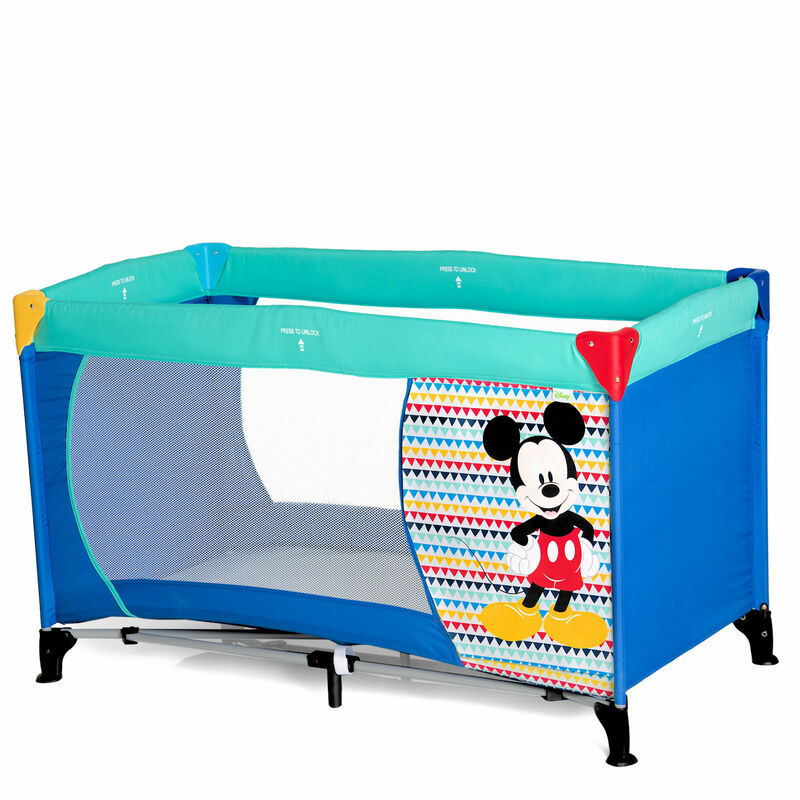 The Disney Dream n Play travel cot from Hauck is a parent’s favourite due to its high levels of practicality. For use as a travel cot, it is easy to fold and also folds down to a compact and convenient size. With its vibrant Mickey Geo design this comes complete with carry bag (with handles) making it that bit easier to transport or take with you on your travels. The travel cot also has two solid end panels and two mesh sides so that you can keep an eye on your child at all times.